So on Saturday I dropped the second edition of my #Sp3kkSaturdays series. Some may be wondering what this whole #Sp3kkSaturdays business is all about. Well, this is just me thanking the Trummers (what others deem as fans I call family), through a series of tracks, dropped every Saturday, from now on, as I prepare for my future projects (Great ExSp3kkTations on the way too). You probably heard the phrase “Zim’Lawi” in the hook. Zim’Lawi is a combination of Zimbabwe and Malawi, which also happens to be the name of the joint project Solo and I are working, set to drop before year end. Solo Killer is a Malawian rapper doing his thing, with two mixtapes under his belt. 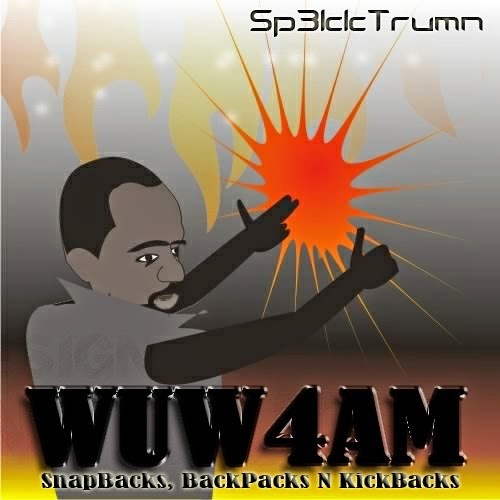 Two Words serves as his second collaboration with Sp3kktrumn, the first being in 2012, on Long Nights off SpekkTrumn’s W.U.W.4.A.M mixtape. The feedback has been interesting, to say the least. Peep what the Trummers had to say below. So there you have it Trummers, the review for #Sp3kkSaturdays2. Thank you for all the feedback. Watch out for this week’s installment on Saturday.